Would you like the long or the short version of my bio? The short? You got it. I write steamy gay romance books and I love it. I also love reading books. Books are everything. A little more detail? Gotcha. I started writing my first stories when I was a teen…on a freaking typewriter. I still have these, and they’re adorably romantic. And bad, haha. Fear of failing kept me from following my dream to become a romance author, so you can imagine how proud and ecstatic I am that I finally overcame my fears and self doubt and did it. I adore my genre because I love writing and reading about flawed, strong men who are just a tad broken..but find their happy ever after anyway. My favorite books to read are pretty much all MM/gay romances as long as it has a happy end. Kink is a plus… Aside from that, I also read a lot of nonfiction and not just books on writing. Popular psychology is a favorite topic of mine and so are self help and sociology. Hobbies? Ain’t nobody got time for that. Just kidding. I love traveling, spending time near the ocean, and hiking. But I love books more. 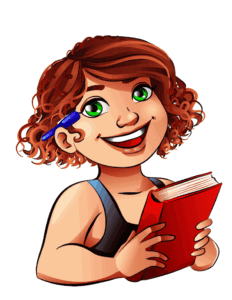 Stalk me on Twitter or Goodreads where I share recommended books and reviews! You can also find me on Bookbub and Instagram.